Lumen Deo® Liquid Wax Candles provide the beauty of a wax candle without the wax cleanup. Constructed in the United States, the refillable nylon shells are highly durable and have the look of traditional beeswax candles. 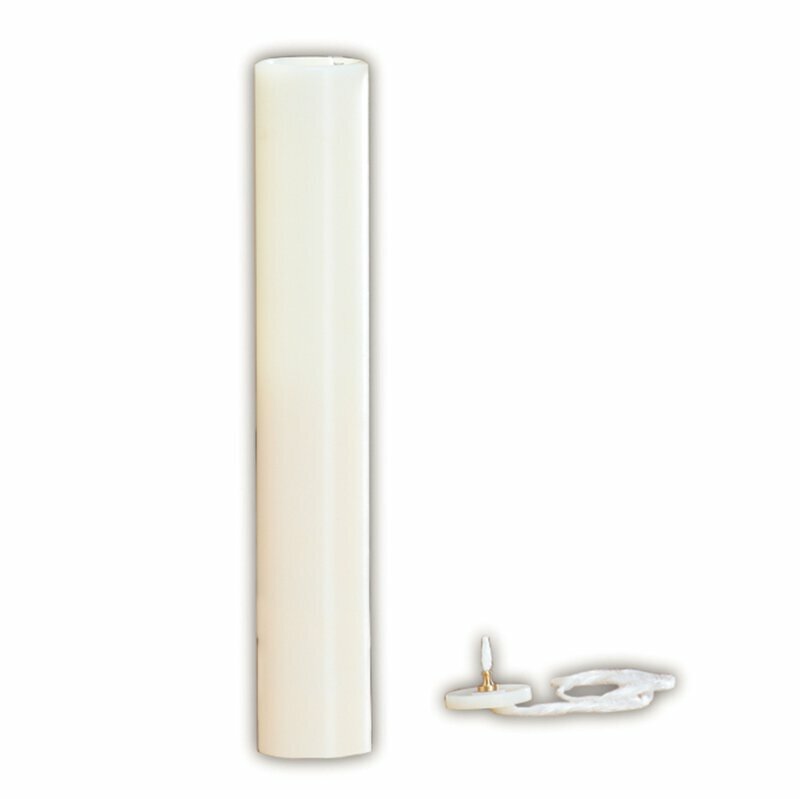 The fiberglass wick makes a continual loop to draw fuel from the fuel reservoir to the flame. The wicks last for 1,000 hours of burn time. When you are ready for a new wick, just give us a call and we will replace it free of charge when you use our CandlePure™ fuel. This fuel provides a clean, odorless and dripless flame. 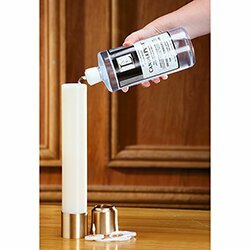 Lumen Deo® Liquid Wax Candles are available in sizes to fit most existing candlesticks, making them easy for you to use. 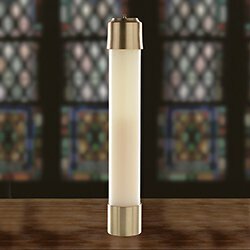 This economical candle system will provide hours of clean, odorless candlelight for your worship service! Socket and follower sold separately (#53311 and #53301).